In one of Procter & Gamble's biggest public-sector research tie-ups, the consumer goods giant and the Agency for Science, Technology and Research (A*Star) have inked a five-year master research collaboration agreement (MRCA) to cover research partnerships with over 25 local research, medical and educational institutions. The agreement, which extends and expands an earlier 2010 MRCA between the two parties, provides scope for up to $60 million in funding, A*Star said in a press release yesterday. The collaboration, which will focus on both upstream and downstream innovation, will leverage on P&G's consumer knowledge and A*Star's research and development capabilities. "Expanding our partnership allows P&G to more fully leverage the unique innovation capabilities at A*STAR and its network of research institutions," said Laura Becker, head of P&G's Connect+Develop programme. Under the new agreement, P&G will have access to research services and facilities at Fusionopolis and the Biopolis, in addition to resources from local universities and hospitals. The new partnership will also provide avenues for talent development through PhD programmes and post-doctoral fellowships. "It is important that we harness synergistically the full range of capabilities that are available in the public sector to sustain our competitive value proposition as an innovation hub," said Lim Chuan Poh, chairman of A*Star, pointing to the new Skin Research Institute of Singapore which brings together talent from A*STAR, the National Skin Centre and Nanyang Technological University. "It demonstrates clearly that meaningful public-public partnerships create platforms that can greatly enhance our public-private partnerships under the Open Innovation Framework." P&G will also soon be launching its Singapore Innovation Centre at the Biopolis, which celebrates its 10th anniversary this year. The Biopolis already houses other established names such as Novartis and GlaxoSmithKline. 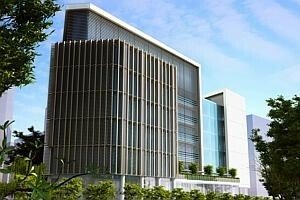 The consumer goods firm's mega Innovation Centre is one of just two in Asia and spans some 32,000 square metres. P&G had said previously that the $250 million centre will focus on creating products for its beauty & grooming, home care, personal health care, and chemicals businesses.